After 4 years of watching my mom fight cancer and battle her way through traditional cancer treatment, I ended up with a lot of fear. Deep down inside, it started to creep its way up after she passed in 2013. First of all, I never really acknowledged the fact that she could actually die. She was my mom after all! And I had seen her go through so much, I think my subconscious mind told me she would just keep fighting forever. Once I allowed myself to acknowledge her death and come to terms with my own mortality, I realized I was suppressing another emotion —fear. Not really fear of dying, but fear of getting cancer and what that would mean. Honestly, the treatment scared me more than the actual disease. So what did I do about all this fear? I turned to holistic health. I enrolled in a Master’s of Science program in holistic nutrition. I started eating only organic food, nothing processed, nothing fried, and definitely nothing out of a bag, box or can. The more I learned about our food industry, the more this fear built up inside of me. I also cleaned up my overall lifestyle quite a bit. I threw out all the toxic household cleaners, detergents, polishers, fabric softeners, chlorine-filled bleach, and of course the countless beauty products laced with carcinogenic chemicals that not even the FDA regulates. I installed an air purifier after learning our indoor air is actually more toxic than the polluted, smoggy outdoor air. I bought an under-sink mounted top-of-the-line water filter the likes of my plumber had never even seen before. Oh and you better believe I also installed a similar filter for my shower head! Because I love to take a hot steamy shower and found out there was chlorine (which may cause thyroid problems), arsenic (may have increased risk of cancer), pthalates (increased risk of cancer), benzene (increased risk of cancer), heptachlor (increased risk of cancer), PCBs (increased risk of cancer), and vinyl chlorides (increased risk of cancer) in that beloved steam that I was breathing right into my lungs! As you can see, I was terrified to eat, drink and breathe. Everything around me was somehow linked to causing cancer. From the outside, it looked like I was doing all the right things. Friends would say, “Oh, Michelle you’re so healthy” yet from the inside I felt everything but. It wasn’t until I completed my Master’s Degree and started working with clients one-on-one to talk about their health that I saw the impact of my fear about my own. As a nutritionist I can confidently say that no matter how clean your diet is, if your stress levels are not in check, your risk for chronic disease is still heightened. So how did I kick my fear to the curb? After starting my own business, cornucopiabox.com which sends organic cancer care packages, I came across a woman who was fighting cancer. She made a post on social media that went something like this: "How can I have body issues when my body is all I’ve got? It’s the thing I rely on for everything. It’s the thing that is fighting this cancer, and it’s the thing that will beat it." There I was, without cancer and completely ‘healthy’ yet wrapped up in all this fear and self-loathing — and not to mention a few body image issues! While this woman who had the thing I had feared most was so grateful, humbled, and so full of faith. It really made me take a big step back and count each and every one of my blessings, including my health. When you focus your thoughts on gratitude, stress is non-existent. I realized I was grateful for my health, grateful for my body, grateful for my past, present and future. Grateful for my mom. She taught me so much over her lifetime, and perhaps taught me the most in her death. So how did I overcome my fear of getting cancer? I didn’t. At least not all of it. But now, I approach my health from the perspective of nourishment. I enjoy my life to the fullest. That doesn’t mean I go out partying every weekend with the mindset of "you’re only young once"! Because we’re all young once but not all of us get to grow old. I still eat organic food when possible, I still use my water filter and air purifier, I use organic essential oils like lemon, grapefruit, peppermint and tea tree to clean my home, and I still make healthiest choices possible when I go out to eat (and yes, once in a blue moon you can catch me completely indulging in a surf-n-turf cheesy burrito with a big smile on my face). Now, I focus on things that are good for me because it feels good. Body, mind, and spirit. I celebrate these things everyday. Rituals like my monthly DIY french green clay face mask, jumping on my mini trampoline when I need a little lift, taking time to breathe, getting creative in the kitchen with ‘mocktails’ and new recipes, and taking my dogs on a stroll around the neighborhood near sunset have become my way of nourishing my body, mind, and spirit that celebrates ME and has nothing to do with fear. Do you have similar fears when it comes to cancer? Share in the comments below. Michelle Herrmann began her journey into holistic health for all the wrong reasons. As a young woman she was self conscious about her body and began learning about weight loss and exercise. Then, after her mother was diagnosed with cancer she was fortunately introduced to holistic health and plant medicine yet her interest was out of her fear of developing cancer herself. After graduating from Hawthorn University she realized holistic health is least effective when approached from fear so, she learned how to change her perspective to a position of abundance, self-love and empowerment. In May 2017, she launched her own business, Cornucopiabox.com, offering organic cancer care packages that are designed to nourish the body, mind, and spirit while detoxing our environment. 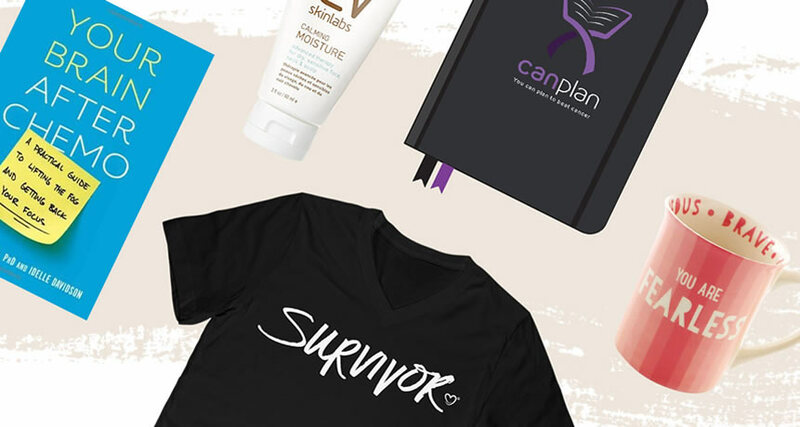 Her company has been featured by Well.org, Annmarie Skincare, and several blog websites with a focus on supporting cancer survivors. She is currently living with her husband and two dachshunds in San Diego, CA and is expecting her first child in June 2018.